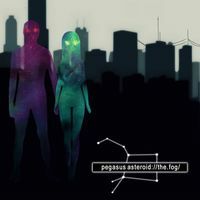 Pegasus Asteroid is Russian synthpop duo consisting of Anastasia and Mikhail (known as one of the founding members of the renowned Russian acts Stillife and Lesnikov-16). They have already attracted a lot of attention in the local scene with their self-released debut EP full of catchy electro / synthpop tunes, nostalgic retro sci-fi atmosphere and dreamy female vocals. This wonderful duo is sure to appeal to fans of Marsheaux, Parralox, Foretaste and the like.